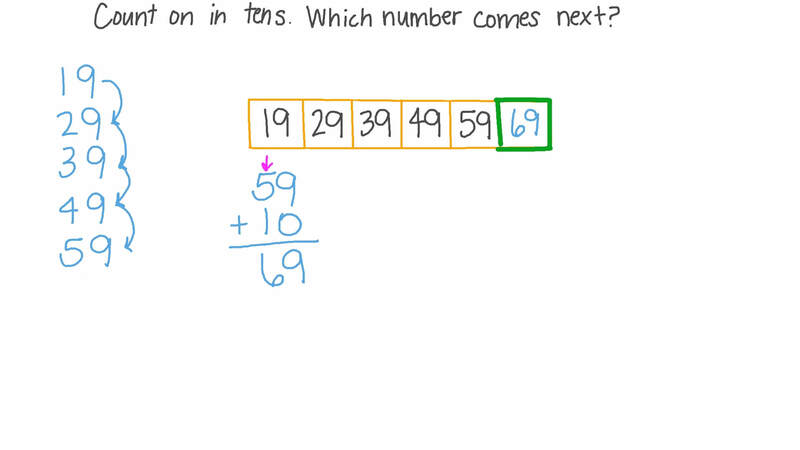 In this lesson, we will learn how to count to 100 in tens. 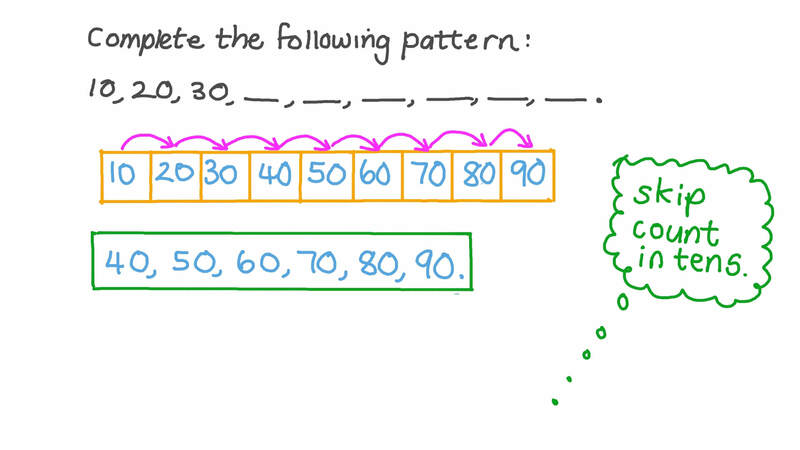 Complete the following pattern: 1 0 , 2 0 , 3 0 , , , , , , . Count on in tens. Which number comes next? 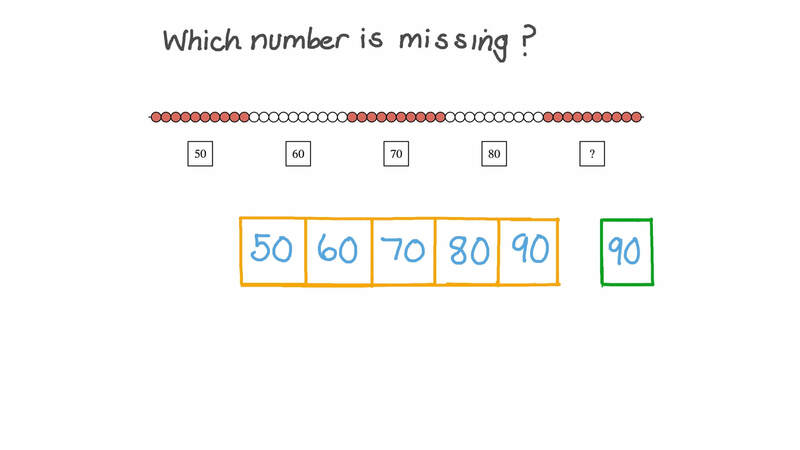 Complete the following pattern: 5 0 , 6 0 , 7 0 , , . Complete the following pattern: 2 0 , 3 0 , 4 0 , , .